Čachtice - is situated on a place where a ledge of the Podunajská lowland in Považie connects with the Smaller Carpathians with its area of 3257 ha in the Slovak Republic – the hearth of Europe. The village lies 7km away from the district Nové Mesto nad Váhom and nowadays counts 3540 inhabitants. The first written mention of the village originates from the pergamen of the king Béla IV.th from the year 1248. In the Middle Ages Čachtice had been a little town and was awarded town privileges in the year 1392. 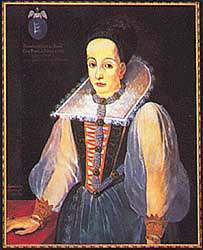 The remote history of Čachtice mournfully famous for crimes of the Čachtice castle owner – Elisabeth Báthory is bound with an important historical stride of the Štúrovci – the last fourth sitting of literary society the Tatrín where partipants reached an agreement about enactment of literary Slovak. While after many bloody acts of Báthory remain only some ruins of her county, historical manse with a memorial table where this meeting took place remind us of the event so much important for the whole Slovak nation. So the manse and the castle those are two symbols of the Slovak history. Each of them expresses in special manner a part of the past. In the interior of the village – its area 13.7ha – is spread State nature reserve Čachtický hradný vrch. 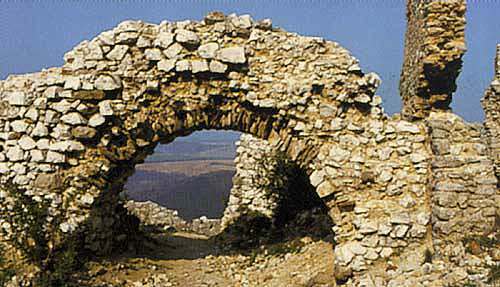 In the surroundings of the castle is situated very beautiful countryside with sparse flora and fauna. To the most well-known owners of the castle and the village belonged bloodthirsty madame Elisabeth Báthory who renowned village Čachtice very badly around the world thanks to her legendary acts. Because of her effort to become younger and younger and to remain forever young she had killed a lot of young girls and she had bathed then in their blood. No doubt that the next important cultural monument is the Parish Church of St Ladislav from the year 1373 with stone fortress and Gothic Chapel of St Anton Padovský. The Stone bridge to the church is a rare and unique monument of mediaeval church architecture in the Slovak Republic. The bridge connects fortified church with its manse. Near the church lies the Draškovič manor-house from the year 1668 where you can visit a museum exposition of the castle and the village history. The museum is opened daily Mai – October 9.30 a.m. to 5.00 p.m. Above the road under the church stands a Bell-tower – Death-bell from the 18th century. It was heard around the country in the period of plague, cholera and comparable fatality. To the another noteworthy cultural monuments belong the Baroque Marian column from the year 1742, the Baroque Golgotha from 1620 built by Judita Révay – daughter-in-law of E. Báthory and the statue of St Florian from 1731. In the picturesque surroundings of the village occur some rare nature formations – The Čachtice karst with many caves, The Čachtice forest-steppe, the Čachtická tiesňava. However the most important event which took place in Čachtice and was signed in history of the Slovak nation was the fourth sitting of Tatrín the 9th –10th of August 1847 at the manse. Delegates of two different religions accepted an invitation of the Roman-Catholic priest Joseph Urbanovský to shake their hands as a symbol of brotherhood and friendship and in this way to addict themselves to national things. Here reached an agreement and showed their faith to promote the Slovak language to the literary speech. The village offers beautiful nature, interesting cultural monuments, a lot of tourist opportunities and a net of presented services for visitors. Refreshment: Na Mokráňovci and U Čachtickej panej. We hope everyone who comes to Čachtice will take away only favourable experience, nice recollections and will be glad to return.